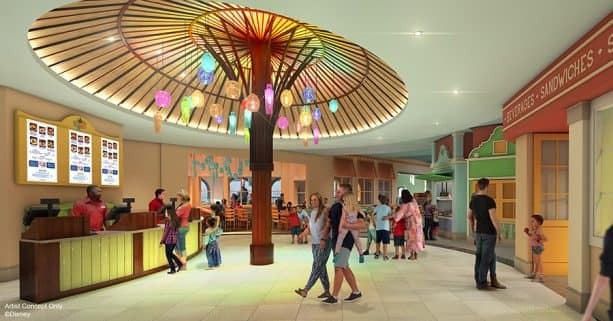 A few months ago, we shared updates for some of the common areas at Disney’s Caribbean Beach Resort at Walt Disney World Resort. Today we have news to share about two dining locations. 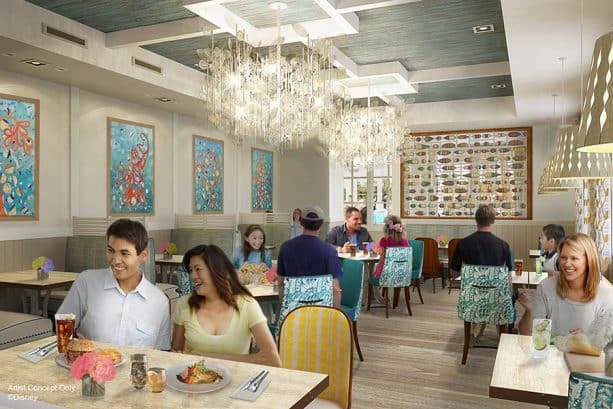 In just a few months when the reimagining of Old Port Royale is complete, the former Shutters table-service restaurant will open in an all-new location as Sebastian’s Bistro! As you can see, every detail celebrates the natural beauty of the Caribbean – from coral patterns and kelp filigree, to lure-inspired art and nautical designs. 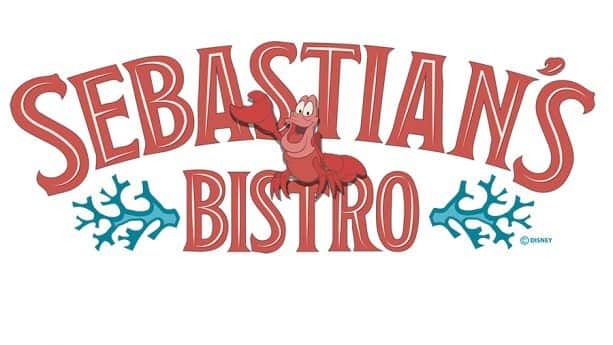 All around the restaurant, you may even notice abstract artwork and – dare I say – under the sea landscapes featuring Sebastian and friends. 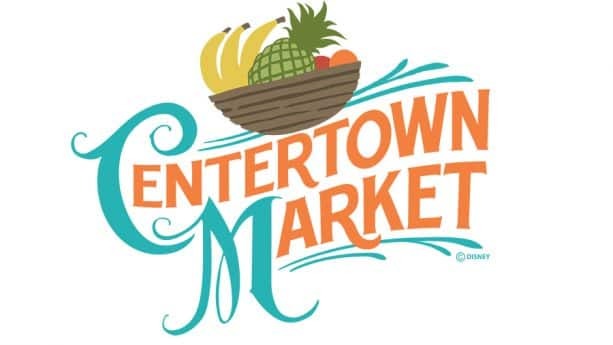 On a related note, we have new visuals showcasing the resort’s quick-service dining location, Centertown Market. I can’t wait to try out both locations! 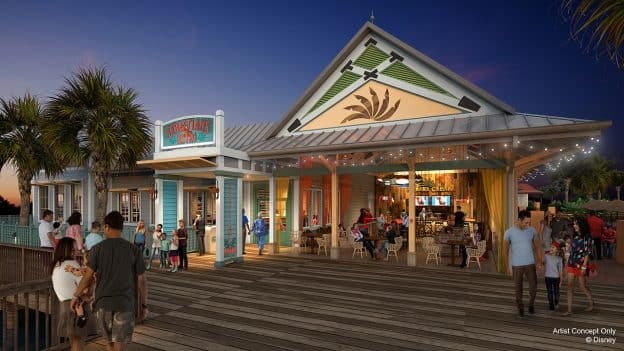 Wondering about the delicious menu options, opening dates for both restaurants and other Disney’s Caribbean Beach Resort updates? 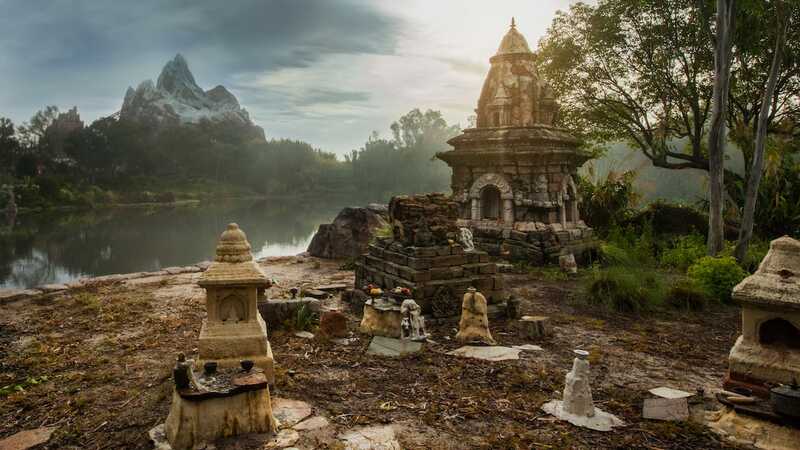 Keep checking the Disney Parks Blog for more information as we have it. So excited for this announcement – have a trip planned for February 2019. Do you know if these will be in effect for my upcoming trip? Thanks! Do you know the expected completion of all the renovations at the resort?